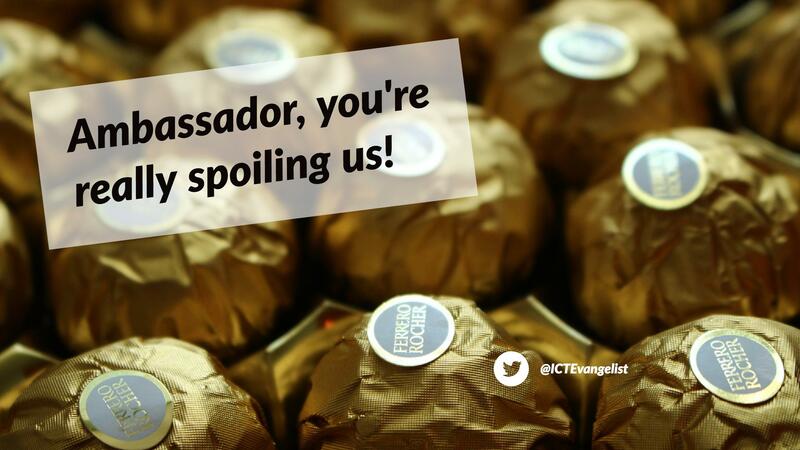 Ambassador, you’re really spoiling us! As many will have read in the last few days, the NY Times published one seriously long article about the role of teacher ambassadors linking and aligning themselves to different edtech hardware and software brands and the potential conflicts of interest this practice might have. It gives parallels to the medical industry where Doctors have to declare interests, particularly when presenting at events and around data shared from research and suggests this should be the case in education. I’m tended to agree. I can definitely see the potential for there to be issues of ethics here. Many of the ambassadorships are not only highly sought after but many are in such demand that those with them are able to use them to help them when applying for jobs. Certainly, over the years I have achieved some of these and am proud to be associated with the companies that I share and work with. For the record, here are mine. Of the different companies I’ve been involved with each of them have different approaches. 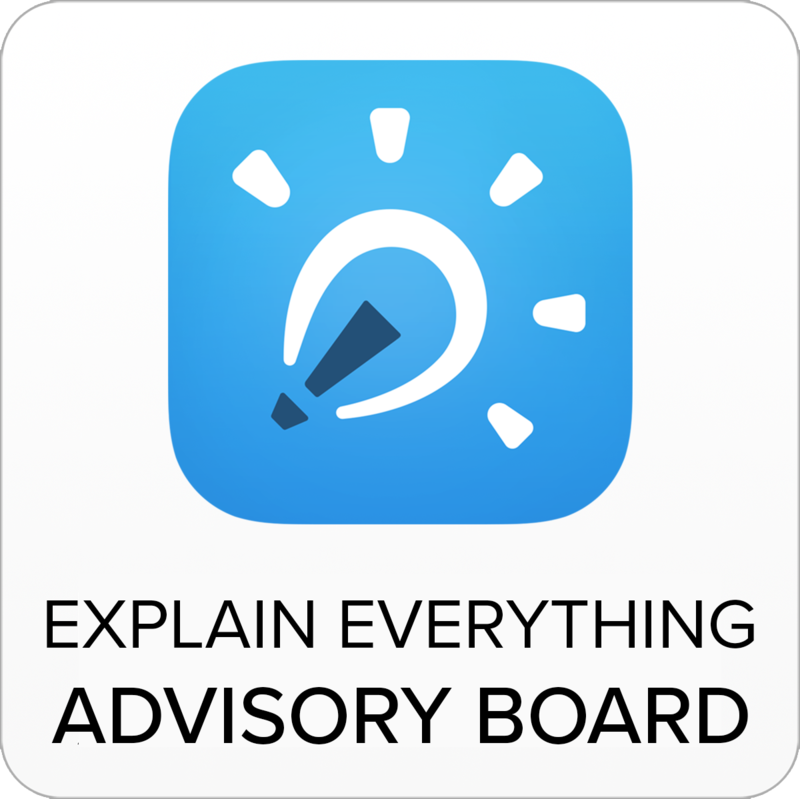 If we take the example of Apple and their Distinguished Educator (ADE) programme, I have to say that their approach to ethics is second to none. Not only do you have to have your organisation’s ethics compliance officer sign off on your involvement, there really isn’t any of the kinds of kickbacks that you might think exist. Sure, Apple (for example) put on some awesome CPD in the form of their ADE events and the opportunity to network and connect with like-minded educators from around is superb. I have learned a lot from the experiences I’ve gained from these events. No educators are ever paid to attend them. In fact these educators are more often than not attending these events in their own holiday time. 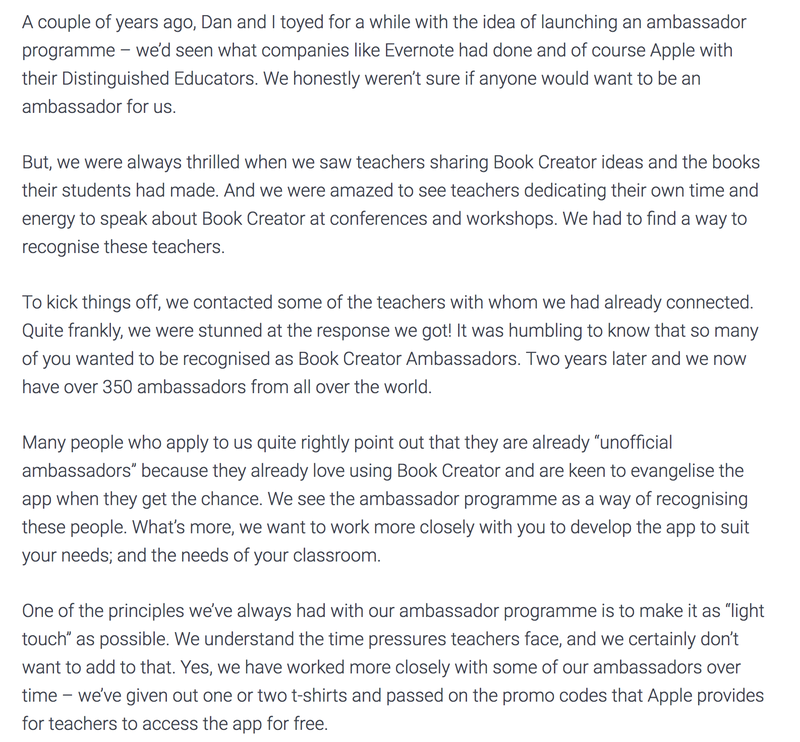 It is true to say though that whilst the likes of Apple may do this with no expectation other than you attend the event (which you have to pay to travel to), not all ambassador programmes are like this. I’ve been asked to be an ambassador for many edtech companies and in their agreements, you have to agree to write a certain number of blog posts, to attend a certain number of events where you will speak and share about their product, so forth and so on. This is much more of a sticky ground for me. I do not sign up to those. I prefer to share regardless and not be dictated to about what I should or shouldn’t have to do. As such you’ll see me share about all sorts of things. Yes, I might share more about some of those mentioned above, but that’s because I’m passionate about their use and want to help others; not for other reasons. On the rare occasion where I have a sponsored post on the site, I make it clear that this is the case. David Didau wrote a post about the ADE program a while ago and in discussions he spent much of his time discussing the potential of the vested interest people may have in these kind of programs. Of course it is wrong to choose to favour a particular product because you are hoping you might become an ambassador so that it might improve your career or whatever. The difference is where you apply to become one of these ambassadors because you’ve been using their stuff and know it enhances learning in your setting and you’re happy to share that to help others. You shouldn’t choose to use something in the hope that along the way you’ll gain that accreditation. You could of course be thinking, “well Mark, it’s certainly helped you, hasn’t it? !” Of course, you’d be right that being an ADE alongside others does help me to do what I am doing now; but it’s recognition of things that I have done previously. To be ethical is to relate to moral principles. What I have achieved and was doing already regardless of ADE led me to achieve the titles. We didn’t start working with iPad for that reason, we wanted to develop teaching and learning. 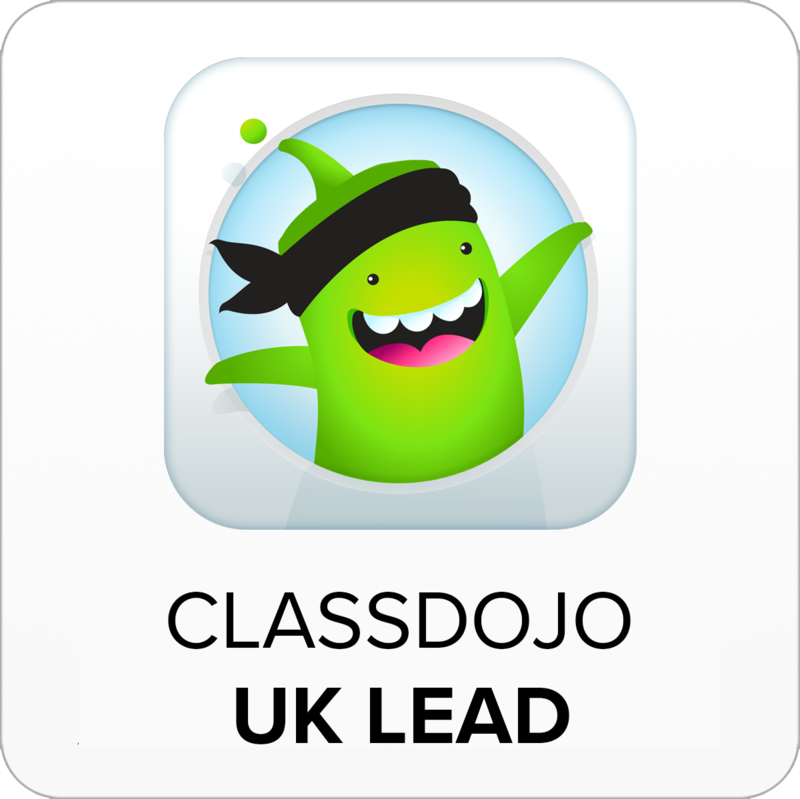 In terms of some of the others; ClassDojo came to me and two others, first of all, to ask about us being ambassadors because we were already championing and sharing the tool. I was using it in my classes. 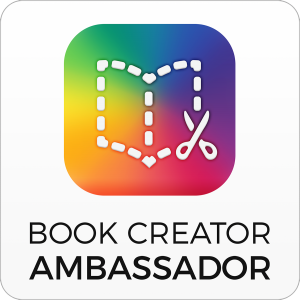 Same with Book Creator; although I have a long relationship with them being local in Bristol, but the initial contact came from using Book Creator with all students in Year 8 on a collaborative project. Showbie saw me sharing about Showbie because I’d been using it with my classes in school, so forth and so on…. More and more educators are becoming brand aware and this issue pervades not just in the affiliations or ambassadorships that come but in lots of other ways too. Ross Morrison McGill for example has long been a seller of resources and has taken flack for it too. Steve Wheeler says, ‘the more you share, the more it belongs to you’ but with more and more educators sharing their resources, if you haven’t watermarked your photo / resource / idea when you share it; how long before you see that idea in the latest edutweeter book without any credit being made to you. One of my favourite bits of BETT that has been developed over recent years by Ty Goddard and Ian Fordham was the BETT Futures arena. Inside this roughly and tightly packed area are so many edtech startups trying to vie for attention and interested educators. Who are they though mostly? Edupreneurs looking to share the product they’ve come up with in their spare time alongside their teaching job. So what do I think? Well, if you’re thinking of working with an edtech company in any guise, you should ask yourself why, really. For me, the biggest benefit for me has always been the opportunity for CPD for me and the chance to network and e/meet educators from around the world. 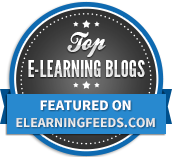 As the person often responsible for training and supporting others, getting CPD in software or hardware or learning about new developments can be tough. It is why many of us turned to social media all those years ago to find each other and help each other out – seeking answers, asking questions. It’s these connections where you talk about what you’re doing in your schools or in your work with schools with educators and learners that show the network is definitely more powerful than the node and this is what these programmes should be about. I learn so much from these people and I hope I help them in return. It is important to remember that all of this is related to a form of marketing called ambassadorial marketing and there are lots of benefits for edtech companies of having them for their companies and lots of educators ready to join in. For a start they’re cheap – educators love a mug, pen or t-shirt. Word of mouth recommendations from a practitioner who is already using a tool to good effect in their classroom is a really good selling point for an edtech business; far better than any cold-calling or advert on the back page of the TES could do for the amount of money required for investment. Just remember ethics is about moral principles. If you’re already using the tools in your class – great. 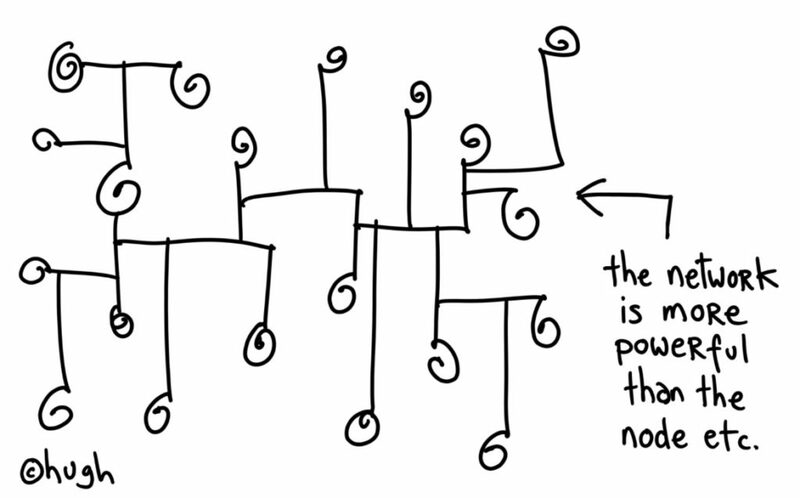 If you’re struggling to find CPD to extend you and you think you’re doing something great – superb. When the next window for an ambassador programme in your field comes up; apply for it! I've been biting my tongue all weekend, but it's pretty upsetting to see educators defending the indefensible. We are in loco parentis. I’m confident she wasn’t talking about the topic I am, but she’s absolutely right; as educators we are loco parentis and should therefore put the needs of the pupils first. If you’re approaching these programmes for personal gain, perhaps you’re taking the wrong approach. It’s a brave new world for educators. Stick to the right side of the tracks.